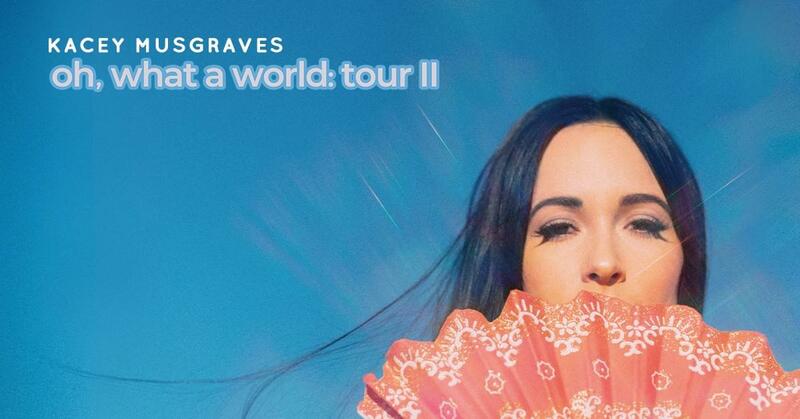 CMA, ACM, and Grammy award winner Kacey Musgraves has added 17 new North American shows to her sold-out Oh, What A World Tour, including the Starlight Theatre in Kansas City on Wednesday, September 4. Kacey’s Oh, What A World Tour is in support of her critically acclaimed third album, Golden Hour, which earned Album of the Year at the 52nd Annual CMA Awards and is nominated for Album of the Year and Best Country Album at the 61st Annual Grammy Awards. You can order tickets to see Kacey Musgraves starting Friday, February 8 at 10am by clicking here.